A previously imaginary Digimon discovered within the computer of a British cryptozoology research institute. 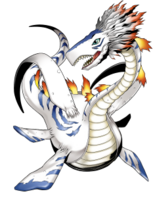 It was a Digimon that had already been rumored among researchers. Although it rarely makes an appearance, it seems to show up when visibility is reduced due to being shrouded in fog. It is a mysterious being whose appearance gives the impression of being polished to shine white. It sings with a high-pitched, crystal-clear voice, wrapping the listener in sorrow and making them lose their fighting spirit (Sorrow Blue). Title: 「不思議な神話の竜」 — "Mysterious Mythical Dragon"
Short for plesiosaur, a type of ancient marine reptile. 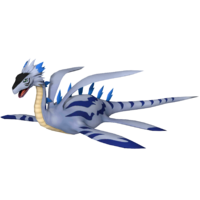 Sorrow Blue  ソローブルー Sorō Burū Lets out a clear, high-pitched cry that causes any berserk Digimon to feel sorrow, making them lose their will to fight. 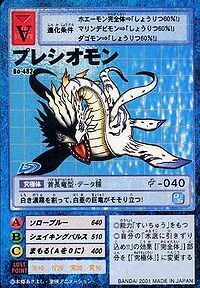 Shaking Pulse  シェイキングパルス Sheikingu Parusu Fires a supersonic soundwave from its mouth at maximum power to attack. These supersonic soundwaves can be used for communication. 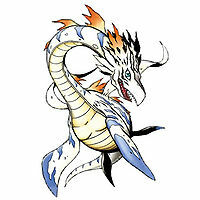 After Culumon and the Digignomes caused all Digimon in the Digital World to evolve to their Ultimate stages, a Plesiomon was among the Digimon who appeared before the Four Holy Beasts to fight help the D-Reaper. One Plesiomon is among Tobari Ren's collection. 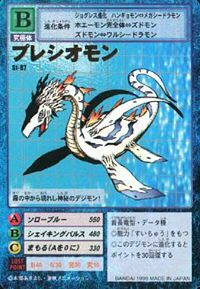 Another different one, was hidden within an underwater cave, protecting a DigiTama. 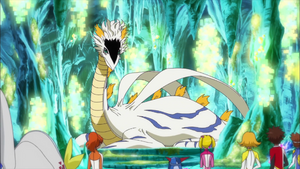 In order to fight off Dagomon, she agreed to DigiXros with Mizuki's partner, Submarimon. 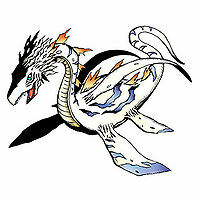 A Plesiomon is part of the group defending Bagramon's Palace in Jupiter Zone. 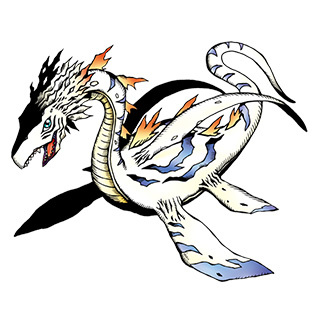 Plesiomon evolves from Zudomon (0-8 DP) or Anomalocarimon (0+ DP). 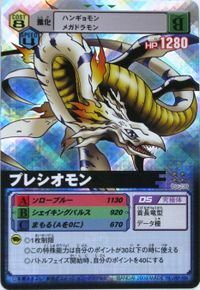 Plesiomon is the ultimate form of Kido Jou's partner, Gomamon. 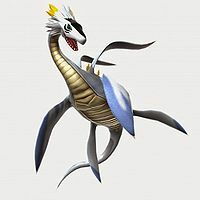 Can be evolved from Whamon if above level 45 and Water EXP above 15000, or can be found at Underwater Drive, via Freezing Mountains. 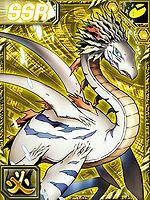 Can be evolved from Brachimon if above level 47 and Water EXP 17500. 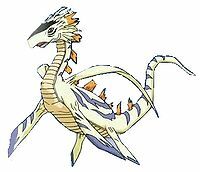 Plesiomon is the main evolution of Gomamon, one of the twelve playable characters. 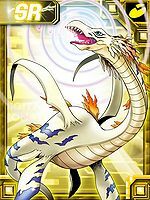 Plesiomon is a Jogress digimon and can be obtained through by Jogressing two Data Perfects. 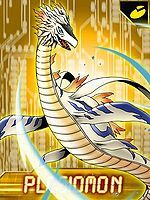 Plesiomon is an unobtainable Leader Digimon. This mysterious Digimon appears from the fog! This giant, chalk-white dragon stands towering as it cuts through the dense white fog! 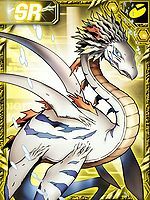 ↑ Digimon Xros Wars: "Great Undersea Adventure! Find the Treasure of Dreams Digimon!" 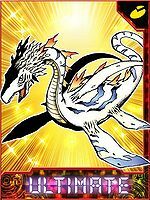 ↑ Digimon Tamers: "Evolutionary Radiance Shining Evolution"
This page was last modified on 8 April 2019, at 00:43.